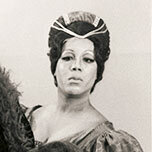 The American contralto Gwendolyn Killebrew began at an early age to study piano, horn, organ, and voice. After completing her scholastic education at Temple University in Philadelphia (B.S.Ed. 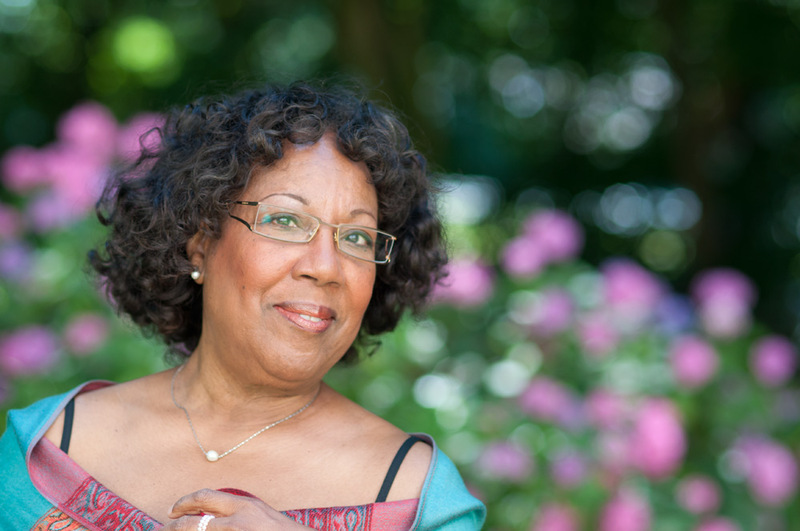 ), she assumed a position as a teacher of music and pioneered in the newly developed field of music therapy. Subsequently she expanded her education through further studies of the voice and opera-theater at the Juilliard School of Music in New York (M.M. ), where she benefited from the teaching and guidance of Ks. Hans J. Heinz and the British stage director Christopher West. Many engagements as a concert-, oratorio-, and opera- singer followed. 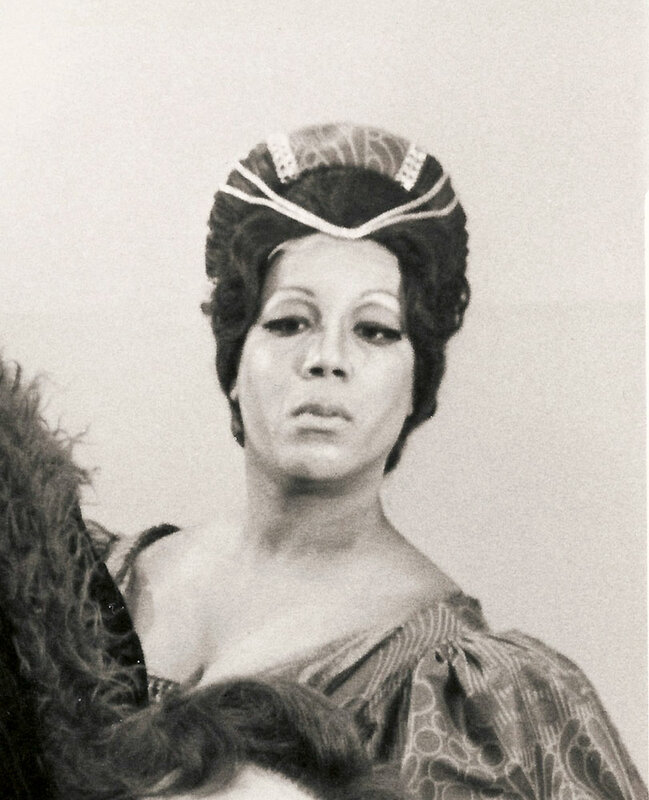 In 1967 Gwendolyn Killebrew gave her debut - at the age of 26 – as Waltraute in the production of Herbert von Karajan’s “Ring des Nibelungen” at the Metropolitan Opera, New York. Munich (Staatstheater am Gärtnerplatz); Cologne, Stuttgart, Copenhagen, Paris (Thèâtre des Champs-Elysèes), Geneva, Zurich, Bordeaux, Nice (Monaco), and Zagreb. 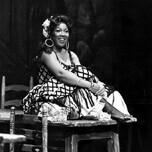 Additionally she appeared at: the Salzburg Easter-and Summer Festivals (world premiere of Carl Orff’s “De Temporum fine comoedia”); the Prague Spring International Festival, the Hollywood Bowl, Ravinia, Tanglewood, and Aspen Music Festivals, London’s “Night of the Proms”, and at the Richard Wagner Festival in Bayreuth. Her extensive repertory comprises roles extending from early baroque to the twentieth century which include Ericlea (“Il ritorno d’Ulisse in patria”), Ottavia, and Nutrice (“L’incoronazione di Poppea”), Orfeo (“Orfeo ed Euridice”), Cornelia (“Giulio Cesare in Egitto”), Isabella (“L’italiana in Algeri”), Maddalena (“Rigoletto”), Azucena(“Il trovatore”), Amneris (“Aida”), Mrs. Quickly (“Falstaff”),alte Buryja (“Jenufa”), Erda and Fricka(“Der Ring des Nibelungen”), Klytemnestra (“Elektra”), the Priorin (“Gespräche der Karmeliterinnen”), Baba the Turk (“The Rake’s Progress”), and Iokaste (“Oedipus Rex”).Furthermore Gwendolyn Killebrew can allude to a wide-range of concert and oratorio repertory e.g. from Johannes Brahms, Gustav Mahler, Alban Berg, Franz Schubert, Robert Schumann, Manuel de Falla, J. S. Bach, G.F. Händel, Ludwig van Beethoven, Joseph Haydn, Felix Mendelssohn Bartholdy, Giuseppe Verdi, as well as compositions from E.T.A. Hoffmann, Arthur Honegger, Frank Martin, Sergej Prokofjew, Michael Tippet, Arnold Schönberg, Ralph Vaughan Williams, Ernest Chausson, Hans Werner Henze, and many others. 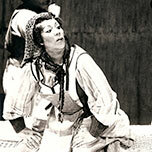 In 1976 Gwendolyn Killebrew became a regular member of the ensemble of the Deutsche Oper am Rhein, Düsseldorf/Duisburg. In 1983 Temple University conferred on her the degree Doctor of Music (D. Mus.). 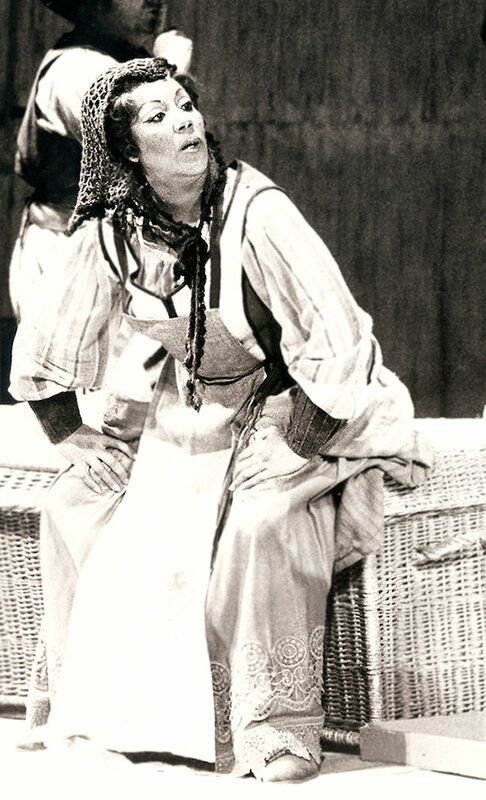 The Deutsche Oper am Rhein honored her in 1988 by appointing her as a Kammersaengerin, and in 2011 subsequently inducted her as an honorary member. 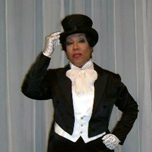 The versatile singer worked with numerous renowned conductors and stage directors. Among the conductors: Wolfgang Sawallisch, Leonard Bernstein, Seiji Ozawa, James Levine, Pierre Boulez, Herbert von Karajan, Sir George Solti, Zubin Mehta, Fabio Luisi, John Fiore, Jonathan Darlington, Andreas Stoehr and James Conlon. Among the directors: Jean-Pierre Ponnelle, August Everding, Herbert von Karajan, André Engel, Patrice Chéreau, Pet Halmen, Giancarlo del Monaco, Christof Loy, and John Dew. 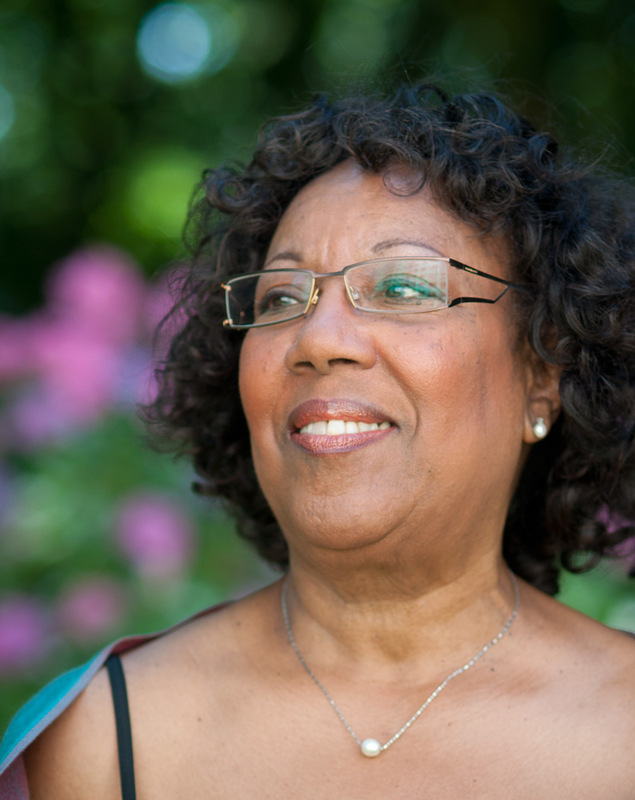 Gwendolyn Killebrew's activities are not merely restricted to the appearances as an opera and concert singer. 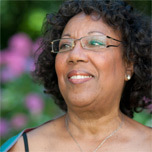 Over and above that is her particular concern to impart her knowledge and experiences to young singers. 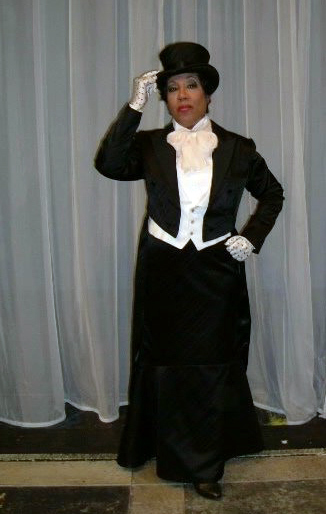 She has held master classes and seminars e.g. 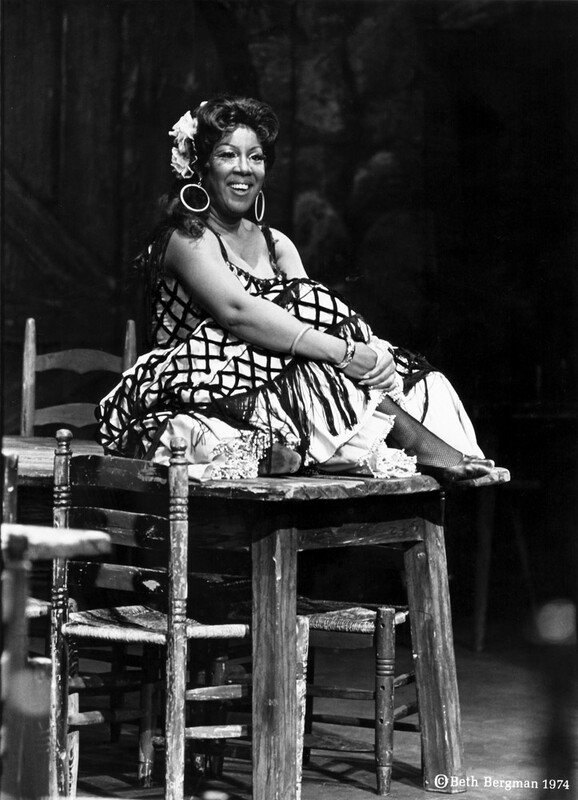 in Pennsylvania (Conservatory of Music in Harrisburg), Ohio (Malone College of Music), Tokio, Hiroshima and at the Houghton College of Music New York where she additionally held a teaching position. Further teaching posts were held at the conservatories: the "Staatliche Hochschule für Musik und Kunst, Mannheim-Heidelberg"; as well as the "Hochschule für Musik Köln (opera department/ Aachen)". 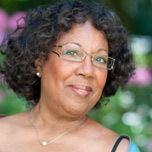 Gwendolyn Killebrew teaches voice (solo and chorus) and piano in her music studio in Düsseldorf where she resides many years.